KCNC are established worldwide as manufacturers of light-weight, high quality bicycle components, producing the world's best cnc'd cycle parts from the most advanced aluminium, scandium and titanium alloys. 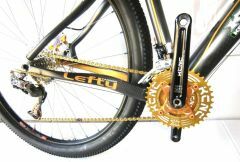 They produce an extensive range of cycle parts from top end road and mtb race, DH, Freeride and BMX. The top end components are of exceptional quality and by using advanced alloys engineered for performance they can easily compete with carbon fibre products. Clee Cycles Ltd are the UK distributors for KCNC Cycle Components. We are proud to be associated with KCNC, and believe their products to be of superb quality in terms of design and performance. KCNC offer excellent warranty and customer service and we do our utmost to pass this on to all our customers. We are happy to answer any retail or trade queries. We now have a trade only website to enhance our supply of KCNC components to retailers. Please visit our Clee B2B website for more information. The Orange Monkey have a new name for 2013 - and more enthusiasm than ever! 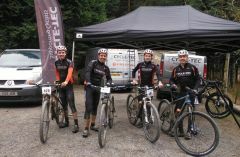 They had a great year last season but now start a new chapter with new riders and a new bike - see their Orange Monkey website for full details, and see their Review of 2012. Orange Monkey Pro Team 2013 are David Fletcher, Rourke Croeser, Ben Roff, Jovana Crnogorac and Billy Harding. 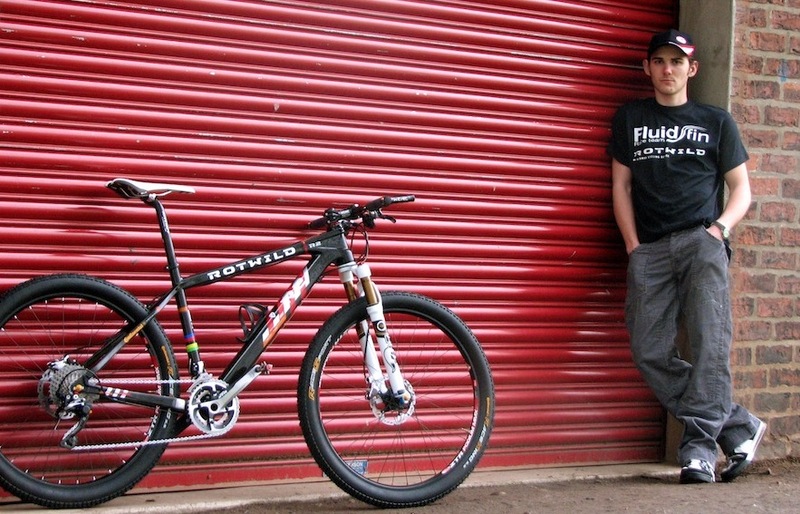 The new UK based multi-disciplined Fluid Fin Race Team is aiming to make an impact in 2012 with a diverse range of athletes across a number of disciplines. Heading the team is 2011 Elite XC Mountain Bike series podium finisher and former Olympic Academy rider Sebastian Batchelor, who will focus on the Under 23 World Cup series. Batchelor is joined on the team by older brother Hamish, who will race a mixed programme of Xterra triathlon and MTB XC. Road and Time Trial specialist Alex Clayton also signs on, along with Downhill/Freeride mountain biker Rowan Buckley. Alongside the elite riders, Fluid Fin will be represented regionally by a small ‘club’ section aimed at encouraging grass routes racing in the UK. Talking about the range of disciplines Batchelor said, “The mix of athletes is one of the main reasons I wanted to be involved with Fluid Fin. It offers a unique opportunity to learn cross-over skills and training techniques from the other cycling disciplines, which I believe will be invaluable to my progression.” The launch of the team has been timed to coincide with the re-launch of bike sponsor Rotwild in the UK. In addition the team is proud to be supported by Mojo Suspension(Fox Racing Shox), Stan’s NoTubes, KCNC Components, Continental Tyres, Zipvit Sport, and Triactive Triathlon Store Chester. For more information and to follow the rider’s progress during the season check out the team website at www.fluidfin.co.uk and Facebook page, or Twitter (@FluidFin). Newly formed in 2013 - Cycle-Tec are already one of the top teams in Wales. James Williams is an Elite racer, James Nixon is first year Elite. Jonathan Pugh is targeting the National Masters title, with Dave Evans and Gareth Roland also competing in Masters. Debbie Rowland will compete in Ladies Veteran Class. The team are also supported by Mio technology, Velo, Torq, No tubes, and Kask. There's plenty of experience in the team for 2013, Jonnie Pugh is a seasoned racer having previously ridden for many top teams including Clee Cycles. Big things are hoped for James Nixon and James Williams. And the old boys can still turn a crank! 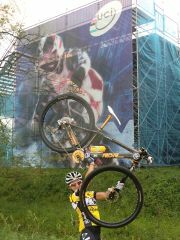 Stephania Magri is currently the Malta MTB XC National Champion. 4 years ago she left the island to venture out for a new cycling & working experience in the UK. Her best results for 2011 were finishing 24th in the World Cup Sprint Eliminator in Czech Republic, 11th in the European Marathon Masters Championships in Stattegg Austria, 3rd in the expert category British National XC Series and 1st expert in the Southern XC Championships. Her aim this year is to step up to elite category in the British Series and participate in as many international races as possible including some World Cups. Arthur is an up an coming rider having spent last year as a junior riding for Hope Factory Racing. 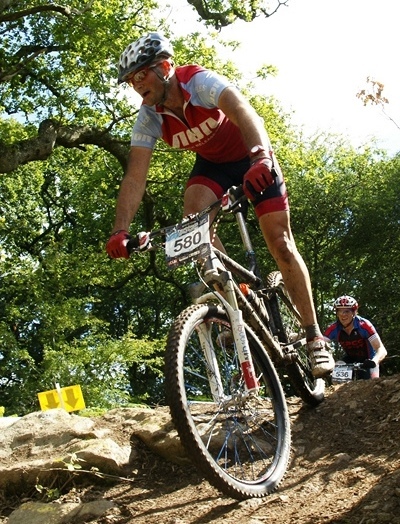 For 2013 he will be concentrating on the National MTB XC series, and the National XC Champs. He will do all of the Midlands XC Series and maybe try a few road races to further aid his development as a rider rather than obtain results. As a 16 year old he can now try a few enduros to build stamina and experience. A team of 11 riders has been brought together, supported by Cotic bikes and A Quick Release (AQR) holiday's Kate and Ian Potter, combining race winning frames with decades of racing and coaching experience on the world stage. The race team exists to promote brands. Riding well and hitting podiums is a real bonus, but the team is primarily there to promote the brands that support us. Team members are selected as much for their personalities and presence at events as their ability to race well – the latter we can train, with AQR's A Quality Ride coaching making sure that all team-members are on top form. 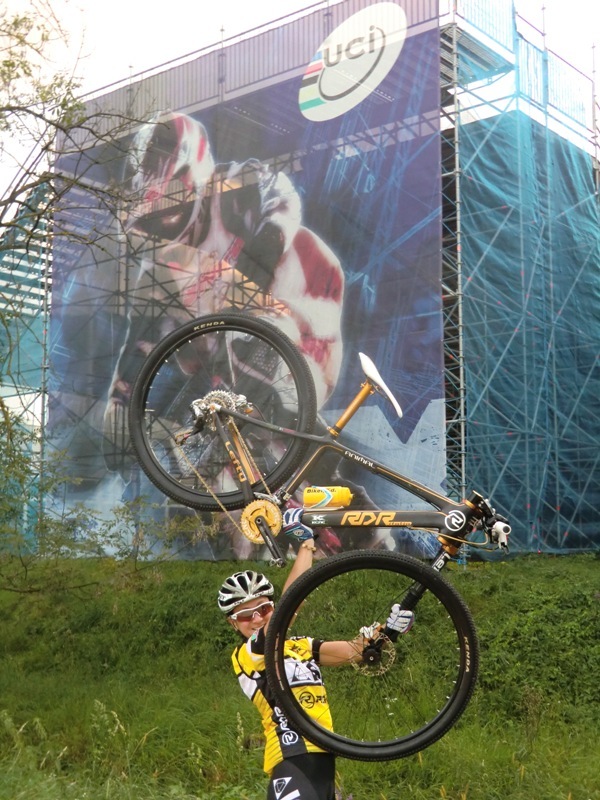 Major events are all supported with a professional pit crew, prominently placed and frequented by a real cross section of the mountain biking world. This year the team will be at the British national series, Midlands and Southern XC series, 24 Hours of Exposure, Erlestoke12, Bristol BikeFest and TwentyFour12 amongst others! Look out for their Cotic Sodas and Solaris's, kitted out with KCNC stems, bars, seat-clamps and rotors!